It’s so exciting to flip through a new sewing book. And it’s even more exciting when it’s by someone you’ve watched and grown with, as a blogger and friend over the years. I was lucky to meet Anna of Noodlehead at Quilt Market about 5 years ago….back when neither of us really knew anything. Maybe a better way to put it is that we were still figuring out how this business of making, sewing, sharing, and designing all worked. And now here she is with her own book AND a new line of fabric! And it’s filled with so many beautiful things. There are classic Anna projects. And by classic, I mean, beautiful bags, pouches, zippy things….the kind of stuff she’s the master at, and is so good at explaining. Can’t you imagine either of these in a trendy boutique shop?? Well, you can make them! The book has an interesting layout, which as a blogger, I really love. When I put a blog post together, I often think about how each picture will look as a cohesive whole—what order they will go in, how they all fit together as a “book”, rather than individual photos. And that’s the feel you get here. 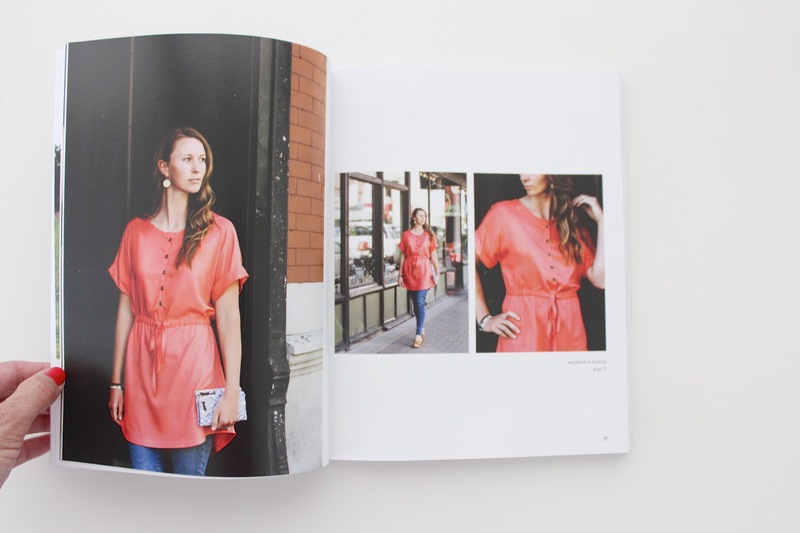 The first 1/3 of the book is a Look Book, with all the photos in one place. 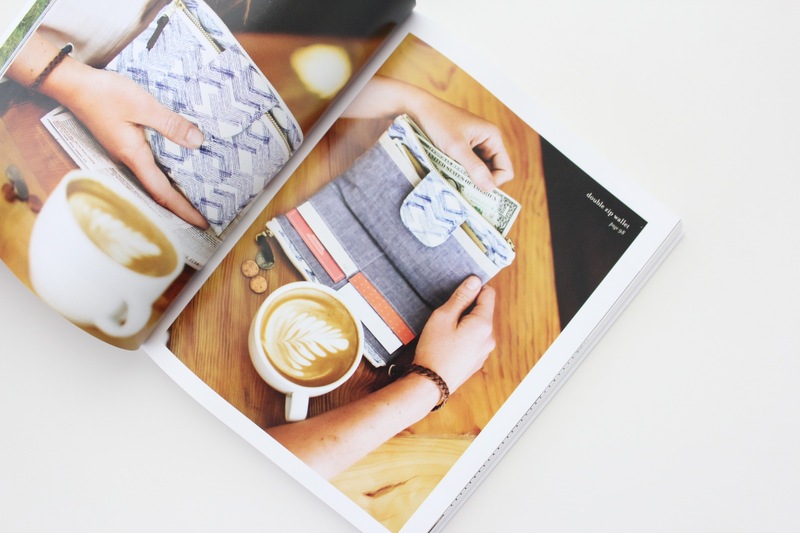 There are pages and pages of gorgeous projects that flow together beautifully. Then after you oooo and aaaaaaahhh (and have a list of 23 things you want to make), comes the Instruction Section with illustrations. And after that are pattern pieces—which are in REAL SIZE format! That deserves a book purchase right there! No photocopying or fiddling around to increase the pattern size, etc. The book has projects for Quilting. How fantastic is this photo?? I want to live in whatever that stripey white barn thing is….and probably wrap myself in that blanket all winter long. There’s a whole section on apparel. Did you know you can make flip flops? What?? 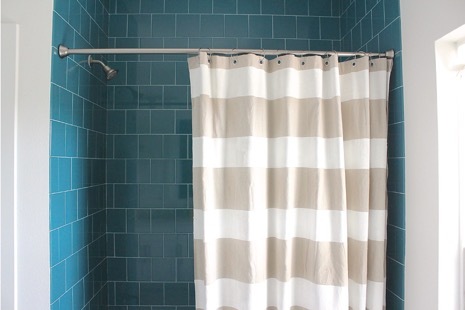 There are also other small projects, and items for the home. And I just love seeing Anna in some of the pics. You are a gorgeous lady my friend! Okay. Ready to flip through your own copy? 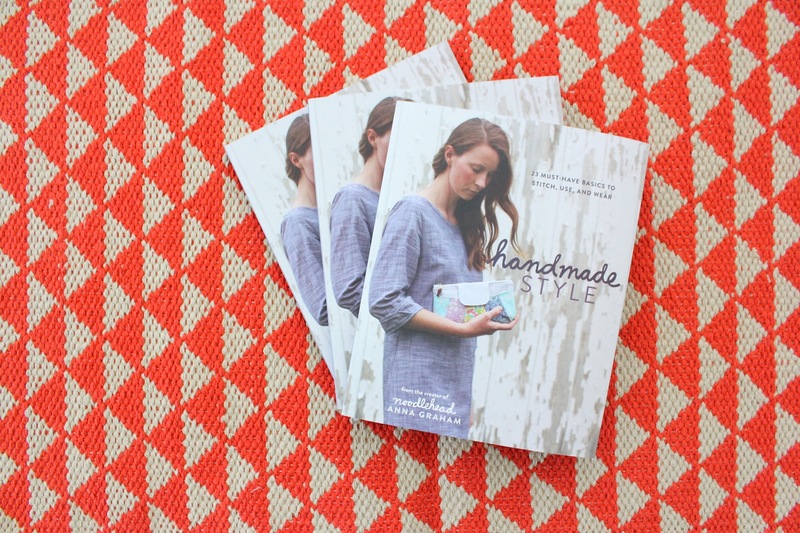 Anna has sent me TWO copies of Handmade Style for TWO lucky readers. • Leave a comment, that’s it. • Only one entry per person. • Open to US + CANADIAN residents only. • Giveaway ends Wednesday 7/22/15 at 10pm Central time. Looks like a great book! Beautiful projects and pictures. I’m new to sewing and would love to learn these projects! I have always loved her too! How exciting! This book looks awesome! Thank you for the giveaway! Such beautiful projects would love to make some of them! I just love Anna’s bags & this book like it’s going to be just as great as they are. I’d love to win a copy. This book has been on my wish list! I’d love to try some of these projects! Thanks for showing us a great book! I would love to make these projects. I have been following you and Anna for about five years too! 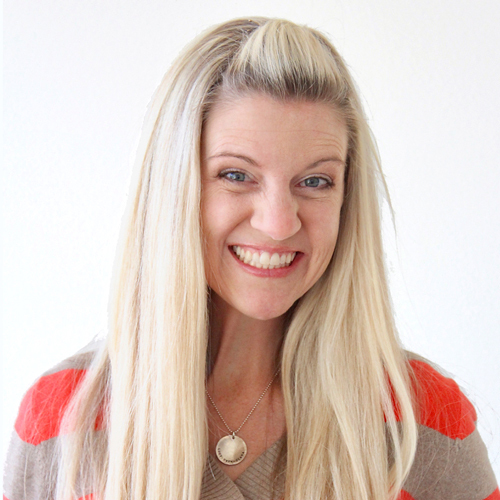 You guys are very inspiring bloggers, and Moms too! Thanks for the giveaway! I can’t wait to flip through those gorgeous pages! I would be thrilled to win a copy of this book! Oh my word – the book looks fabulous! LOVE Anna’s style! Stoked to see real pattern sheets in there too. Wow! This looks amazing. I think I’m going to nab a copy whatever the result. Thanks for making the giveaway open to Canada too! I’m trying to sew more, I’d love to win this book! I love Anna’s style and this book looks wicked cool! Thank you for offering this beautiful book as a giveaway. What a wonderful treat it would be to win! Just because I need more things to sew! Woohoo!! Make your own flip flops?!?! This looks like a fun book. Dana, I love the way you are so excited about your friend’s success, and I love what I see of Handmade Style. Thanks for the chance to win! She’s just darling! I’d love to get a copy of her book. 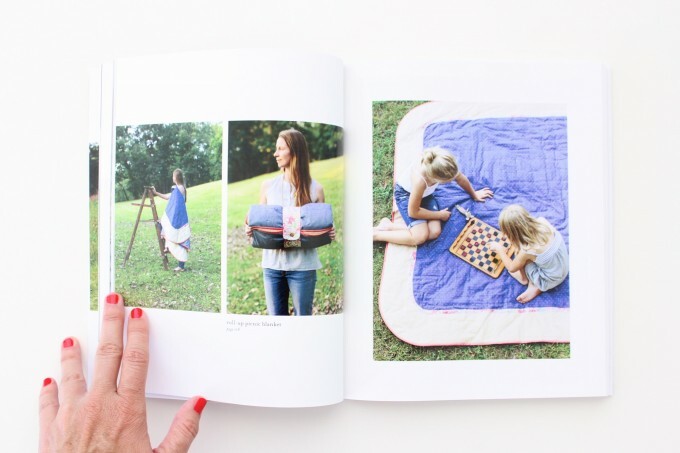 This book looks amazing- such lovely photography of so many fun projects! Thanks so much for the chance to win it! Looks like a beautiful book. 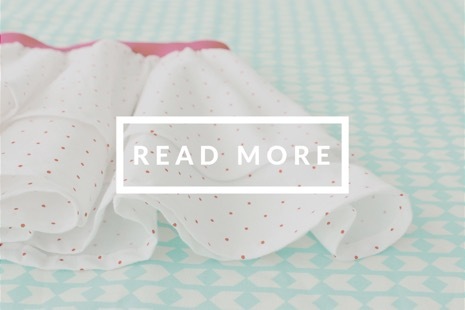 I just love Anna’s patterns and her blog. Would love to win a copy of her beautiful new book! This book looks gorgeous! I hope I get to read it soon! 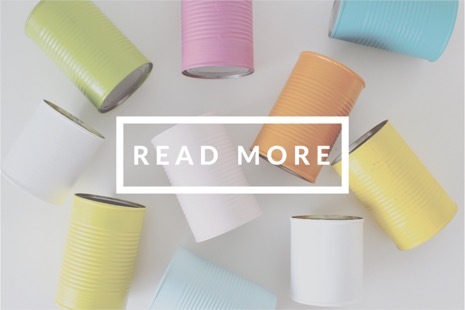 Anna’s blog is one that I refer to so often! I would love to flip through a copy of this book! This book looks amazing, I would love to own it so I can try to make everything in it!! Beautiful book!! Thank you for this awesome opportunity! I’ve been stalking this book on Amazon since it came out! I’m not sure that I can wait until the contest ends to buy this! I would love to win the book. I’ve seen it and it’s beautiful. I love Anna’s patterns! Her divided basket has been my go to baby shower gift for a while now (filled with all sorts of fun goodies)! I think I need to finally get my hands on this beautiful book. Some great looking projects in there! TFS! What a pretty book! And cool projects too, bonus! Beautiful book! I would love to make a few of the projects! This one is on my wishlist! I recently stumbled across her blog. What a beautiful book! I LOVE her creations – thanks! Look so interesting! and beautiful pattern that it would be so fun to do! I keep seeing this book on blogs everywhere. It looks fantastic. Thanks for the chance to win! I love Anna’s patterns. Love Anna’s style and would love a copy of this book! Thanks for the chance! Love to see this book in real life! Thanks for including us Canadians! What a beautiful book! I would love to win a copy. I’ve always loved the things she makes- her bags & zippy pouches always come out so pretty. I’ve just been too intimidated to try making them because I know mine won’t come out as nice! How exciting! The book looks beautiful! this looks like a fantastic book!! Anna has great patterns. Thanks for the chance to win. In my mind I’ve always pictured the two of you scheming ways to beautify the world through sewing. Love both your blogs and would super LOVE this book. Thank you! 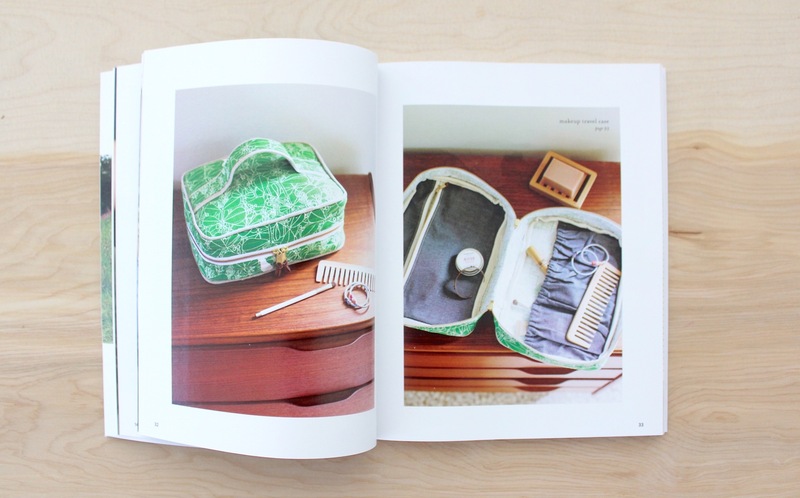 This book looks like the perfect resource to revamp my sewing inspiration! This looks like a beautiful book! Thank you for the giveaway opportunity! The book looks fabulous. Thanks for the chance to win! Would love to have this book!!! The book is beautiful and I’ve already got my eye on some projects to gift! oh my goodness!!!!! I just absolutely adore Anna’s sewing projects!!! I have made/used sooo many of her patterns and they ALWAYS come out amazing!! It’s so exciting to see that she has a book out! I can’t wait to get my hands on it!!! Would love to have this book! Thanks for the awesome giveaway! I love Anna’s blog and have been lusting after this book since it came out. So many great projects! Awesome! I haven’t added to my sewing library in a long time. Off to add this to my Amazon wish list. The very first time I finished a project with a zipper, it was one of Anna’s pouches — still a favorite design! I love her and have knit many of her bags over the last few years. The book looks gorgeous and I’m sure I’d find many things to sew from it. Thanks for the chance to win a copy. I received a serger for my birthday, so i’d love a book like this to break it in with! Just like you said gorgeous photography!!!! Unique designs all the way from zipper pouches to clothing!!!! Love it and thanks for offering this giveaway! I’d love this book. Thanks for hosting the giveaway! She is the very best pattern designer. I never have trouble with reading her patterns! love the projects! How adorable are those flip flops! thanks for the chance to win! very generous of you! Hard to find her book in Canada. Thanks for opening the giveaway to Canadian residents. The book looks lovely, would love to flip through it! Yay! This is awesome. I have this book on my wish list in Amazon. I have several of her patterns too. She is amazing. 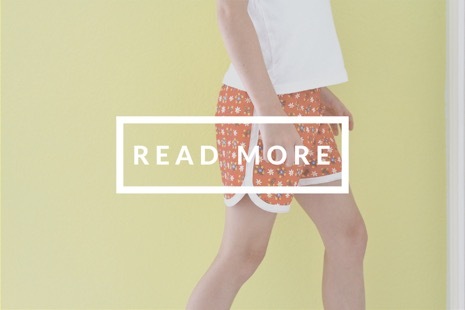 I follow Anna’s blog – I love her designs. Thanks for the opportunity to win her book. I live in flip flops. 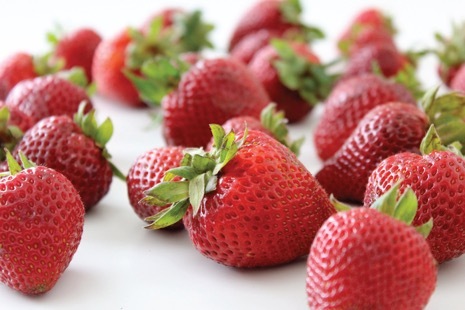 Can hardly wait to learn how to make them! What a beautiful book! It is laid out so well. I would love to try new projects. What a great book! I made one of Anna’s bags years ago and still use it. She is a bag-genius! I really like the rope or quilted bag (hard to tell which from pictures) with the small leather straps in the pictures above! Oh man! The book looks awesome! This book looks fantastic! Thanks for the giveaway! Wow! I am so impressed with the amount of talent this lady has. I would love to win a book!! This looks like a beautiful book! Adding to my list of buys. I would love to check out this book. I love the quilted bag and the tunic! This looks wonderful! I love her patterns and am pretty sure I NEED this book! This looks like such a great book! Got to take a quick peek at our local bookstore and would love to add this to my sewing library! Thanks for the chance! You have just whetted my desire to see more of that book! I doubt luck is on my side but I’ll wait till Thursday to buy my very own copy. Thank you for the opportunity! Ooooohhhh, pick me! 🙂 Thanks for the chance to win! How incredible!!! Such a beautiful ‘nudge in the ribs’ to go make something beautiful 🙂 Thanks for hosting. Would love to win this book! I adore her blog and have followed Anna for several years now. Lovely projects-would be hard to pick the one to start on first! I really need to get back in my sewing room…would love to use this as inspiration to jump start my fun! I have seen this popping up everywhere! Looks amazing! 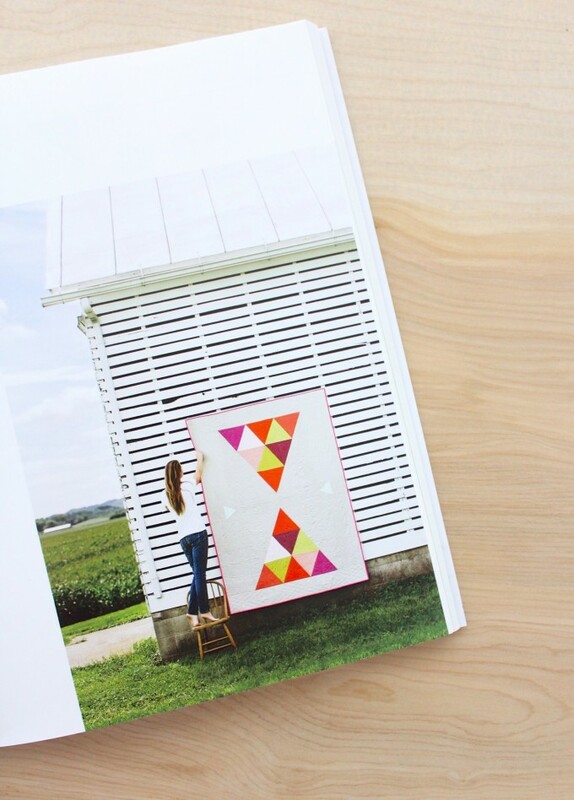 Love that quilt with the bright triangles. Yes, please! I love her designs and would love to have one of her books! What a lovely looking book! So exciting! Thank you for the opportunity to win one! What a gorgeous quilt! This book looks awesome! 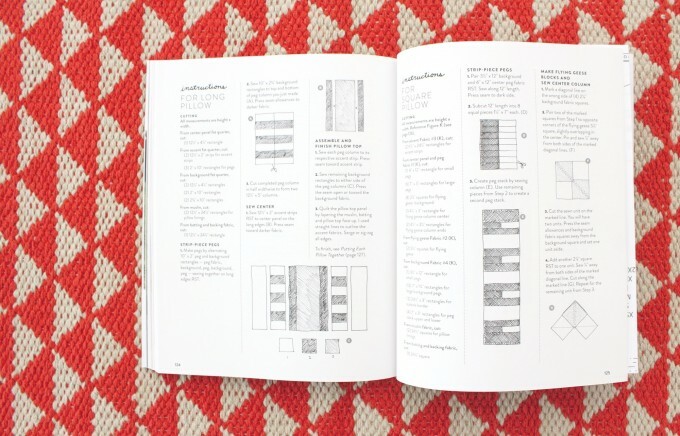 Really love the details she includes in her patterns to help you easily work through a project. Can’t wait to see her book. what a beautiful book full of beautiful projects! I love this! Pictures and projects look so pretty. This looks like such a great book! Hope I win! 141) Heather @ What Does She Do All Day? Beautiful book! I can’t wait to see more! Oh this book has been on my “WANT” list!!! It looks so lovely! Thanks for the chance! oooh! I really want this book! I’ve seen some amazing things made from the patterns. I just decided to make my next handbag instead of buying it. 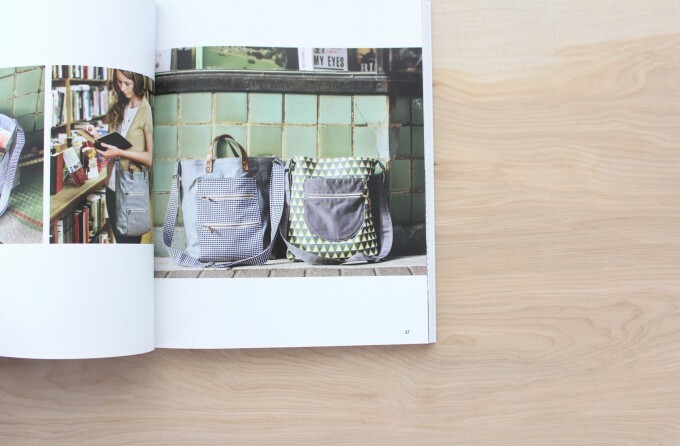 The bags in this book are ace! I have followed Anna for a long time – love her style and I know I would love her books. Thanks for the giveaway. Looks like a fun book!! Would love to win (and thanks for having it open for Canadians)! Oh, the bags! What a lovely book. Lots of inspiration in there! I would love to try out so many of the projects in this book! Thanks for the chance to win one! Would love to win !! The projects look amazing !!! Beautiful projects! I love books like this that are practically coffee table books: mmmm, beautiful sewing pictures! Would love this! Beautiful book! would love to own a copy of this book- looks interesting! thanks, dana. Her projects look so adorable! I would love the chance to win her book! I love the Noodlehead blog! Her diaper clutch is my go to baby shower present. That peachy-reddish tunic is awesome! Wow. The book seem wonderful. What an accomplishment! And such pretty projects – so fun to try! What fun! I’ve been looking for a project book and this more than fits the bill! Thanks! This book could really help me “slash my stash”!!! 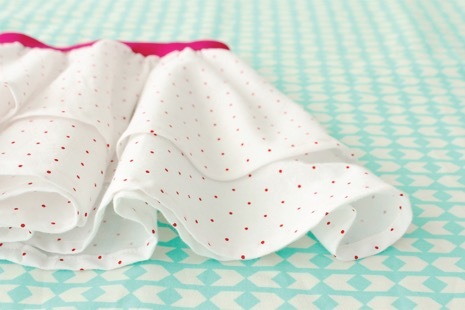 I have been waiting for her new fabric line, it is gorgeous! I’d love to have her book too- what a great and beautiful resource! I would love to have this book, it is on my Amazon wish list. Thanks for entering me in the giveaway. The book looks awesome! I totally need a new wallet. I wonder if my sewing skills are up to making one? P.S. I LOVE giveaways where all you have to do is leave a comment! I have followed her blog for a while now, so excited she has a book! Looks great! I already love the tote bag she features in her book. I know I will love her other projects as well. The natural look of her photos is just perfect! Looks Beautiful! Can’t wait to flip through too! I have been using Anna’s patterns for years and love them! I also saw her at the Sewing Summit 3 years ago. Would love a copy of her book!! Pick me pick me!! ❤️this book!! Dana ever since i saw your website ,I loved it,and now I’m making a pair of leggings for my daughter.It would be really useful to have one of those books to create more stuff and helping me a lot on a project. the book looks beautiful. It’s on my birthday wish list! But would love to win it here! I LOVE Noodlehead patterns! And I would love to win this book! Yay! Its Open to Canadians! 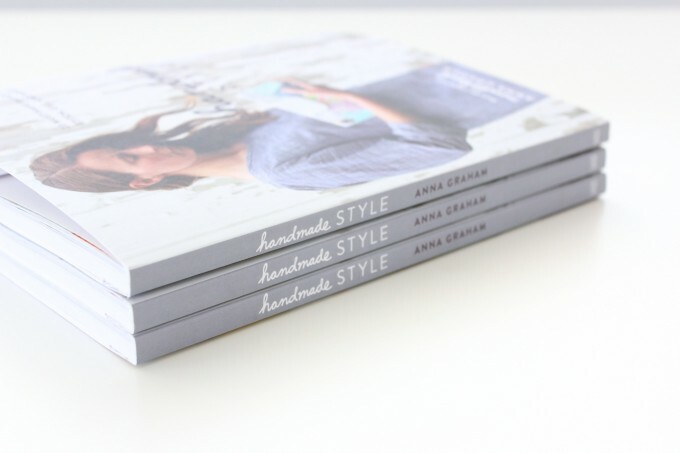 I love Anna’s work and would love to make every one of the beautiful projects in her book! This looks like a great resource! Hope I win! This book looks great. It’s on my wishlist. This book looks great, proposing nice handmade projects. Hope I win! I think this book belongs on my coffee table. Just so I can admire it. And then make everything in this book! Thanks for the chance to win! Lovely! I’m so excited to see what Anna’s book has; her projects are so accessible and pretty. Both of you were among my first 3 or 4 blogs for sewing that I found in the spring of 2011. You have both been a big part in my sewing. I’d love to win a copy of her book. What a beautiful book! I would love to sew some of the projects. This book looks fantastic! Congratulations Anna!! Looks like a fun book to get! Would love a copy of Anna’s book! Thanks for the giveaway! I’d love a copy! And my printer would love a break from printing wonky Pinterest patterns! Oooo, Oooo pick me, pick me, please! This is on my Amazon wishlist already. I would LOVE to have this book!!! Looks amazing!! Wow! Looks like some great patterns! wow! what a beautiful book!! I just made the Poolside tote and live it!!!! Wow, looks like there are a lot of really great projects in her book! I’ve always admired Anna’s style and designs. What a treasure it would be to have her new book and be able to try to create some of her projects! 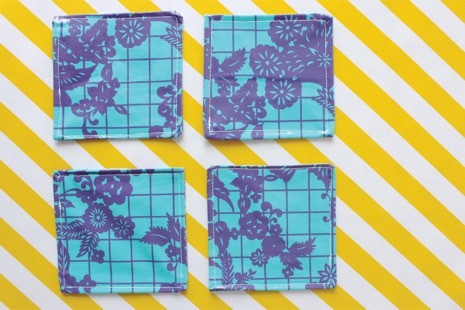 I LOVE her blog and patterns for storage accessories. Can’t wait to sew some up! 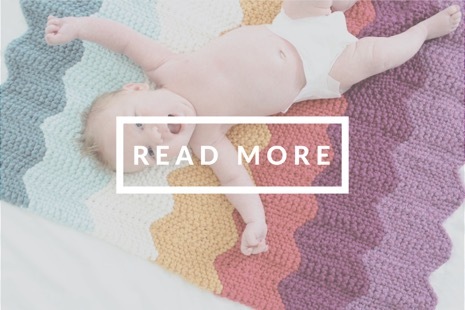 I’ve loved Anna’s blog and patterns for a while now. The book looks great! What a gorgeous book! I’ve been searching for a quilt pattern for my kids & those triangles just might be the one. Thanks for the lovely giveaway. I would love to win a book Dana -Thank you in advance! Anna had such lovely bags, and photos, and insight, and I have yet to make anything of hers yet. Gorgeous! 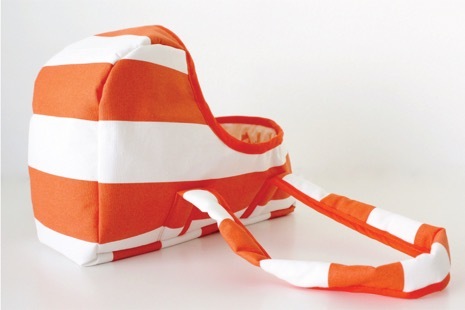 I’m in love with the beachy bag! Thanks for the giveaway! I would love to win this, some great looking projects! This book looks fantastic. I can’t wait to check it out in person. I love all the beautiful photos that go along with the nice instructions. And there is just something so magical about a book you can hold in your hands instead of the screen! Can’t wait to see this one! I love her projects!! Oh! I’ve been eyeing this book! I would love to win! Ahhhh! Gorgeous book! I want! This would be an awesome addition to my library. Oh please!!! I need this in my life! Looks awesome. As always, I love that you only do one comment entries! This book seems like a must-have! Thanks for the opportunity to ‘win’ an inspirational and fun sewing book! I would enjoy sewing a bunch of bags and pouches for friends and family. Um, yes please! I love Anna’s work and would love this book. I’d be so excited to try the projects in this beautiful book! Thanks!!! The book looks Lovely, thanks for sharing! How can you not love Anna/Noodlehead? It’s impossible. I’ve been obsessing over her cargo duffle pattern – it’s next on my to do list! The book looks gorgeous. Can’t wait to see it and work on the project. 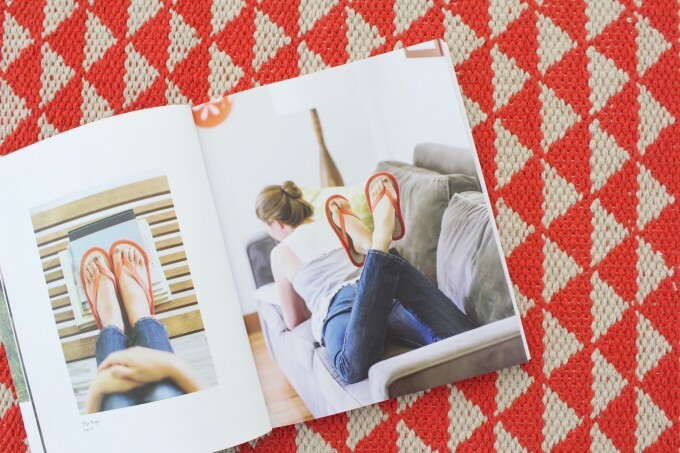 I absolutely love these pictures and can’t wait to get my hands on one of these books! Looks like a great book. I love Anna’s blog. I teach sewing and have spotted a number of projects for my students. If only I could find more time I would make every project! Oh I would love to win this book! I love Anna’s style and have used several of her patterns. I was so excited when you wrote that it is open to Canadian residents too! Beautiful book! Thank you for this opportunity! I have only ever sewn clothing but those bags and zippered pouches are AMAZING! I really want this book!!!! Thanks for the chance to win. Looks like a great book. My new found passion, sewing. I’ve been dying to get that book–thanks for the giveaway! Yes, please! I’ve followed Anna for a few years too! What a great variety of patterns! 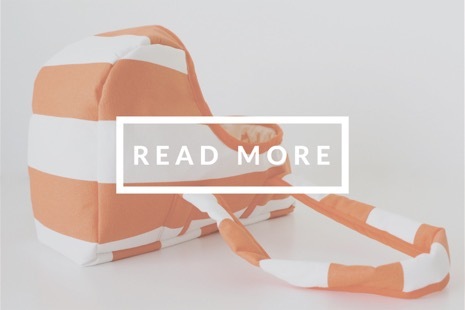 I’m already in love with Noodlehead pouches. I simply must get this book! Her book looks incredible! I would LOVE it in my craft room!!! Pretty please! This book is so beautiful and I would love a chance to win a copy! Thanks for the opportunity! I would love to have this book! Thank you for the giveaway! 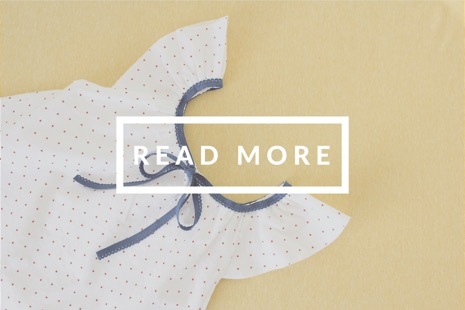 i’ve been admiring this book and its many projects on her blog. i’m so glad you pointed out that the pattern pieces are full-size – absolutely an instant-buy factor!!! now i’ll definitely purchase a copy if i’m not one of the lucky winners. This book looks great! I would love to sit and get lost in it for a while! What a lovely book! I would love to tackle a few of those projects in there. I love her patterns! 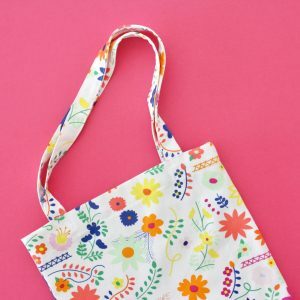 I’ve made 3 poolside totes and I need to get fabric to make another one for my sister’s birthday – her bags are so amazing! This book is on my wishlist! I love her patterns and the book is gorgeous. Thanks for the opportunity! OOH, I love her blog and I am so excited about this book! Looks awesome … I would love to see more! I would LOVE LOVE LOVE a copy of this book!!!!! So many great ideas. I would love this book! WOW! looks like a great book, beautiful pictures, very cool projects – how fun to be able to publish a book! how fun to have a chance to win one! thanks, Dana. It looks like a fantastic book! The book has beautiful projects and pictures! I adore Anna’s patterns and style! Thanks for the giveaway! This book looks awesome! Would love to win. I noticed she had a book out and would LOVE to have it!! 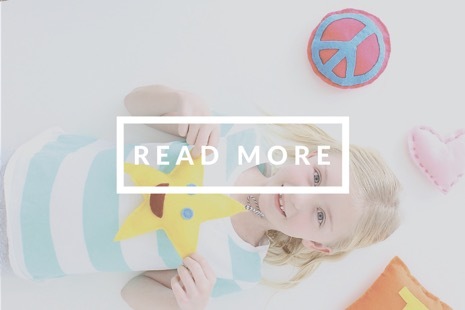 There are so many cute projects in there! It’s so fun celebrating a good friend’s accomplishment! That triangle quilt is modern and I love it! Might have to make my own pattern and create a similar one soon! Looks like a fabulous book…so many wonderful things inside! Thanks for the chance to win. Makes you want to pick up a needle and sew something. Love it! You have made me want to sew more !! I am getting a BabyLock machine today because of you ! Looks like a wonderful book with lots of fun sewing projects! It looks like a great book! Thank you for the chance to win! thanks for the inspiration – you make everything seem so easy and quick to do. What an awesome giveaway. Book is beautiful!! So exited! Hurray for new sewing projects!! Beautiful book. Long time Noodlehead fan! It looks wonderful and I want one!! P-L-E-A-S-E……. I love all the pictures you shared! Super cute book! Looks like a fun book to try making new things. Love these pictures and would love to learn how to make these items! 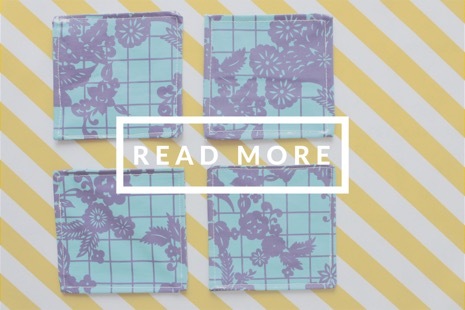 I have loved the Noodlehead blog and patterns, and am so excited about Anna’s new book! Looks like such a cool book! 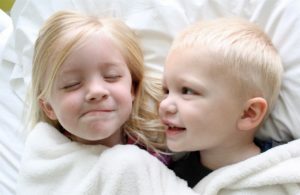 I want to live that kind of life. This is a lovely book!! WOW!!! This would be awesome for ME ( and her, too). This book looks amazing. I would love to have a copy! Wow, beautiful!! I can’t wait to get a copy; I want to make everything! Thanks for the giveaway! 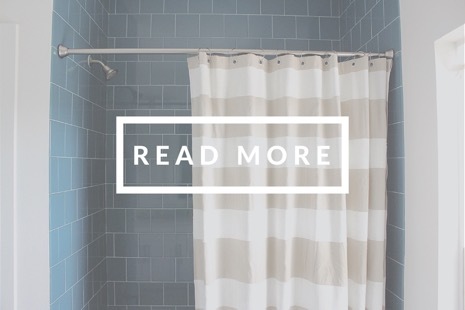 Love your blog, and this book looks amazing! Some people just get all the creativity! What a gorgeous book! What a great book! I’d love to have my own copy!! Love to sew and woiuld love a new book of projects! Oh the book looks amazing and can’t wait to get my hands on a copy! 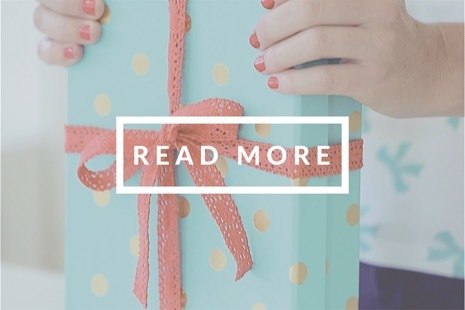 Awesome giveaway- I love Anna’s Noodlehead blog! The images from the book are just lovely-this book is on my wish list. I really want to make some of those bags! Looks like a really nice book! This is on my wish list! 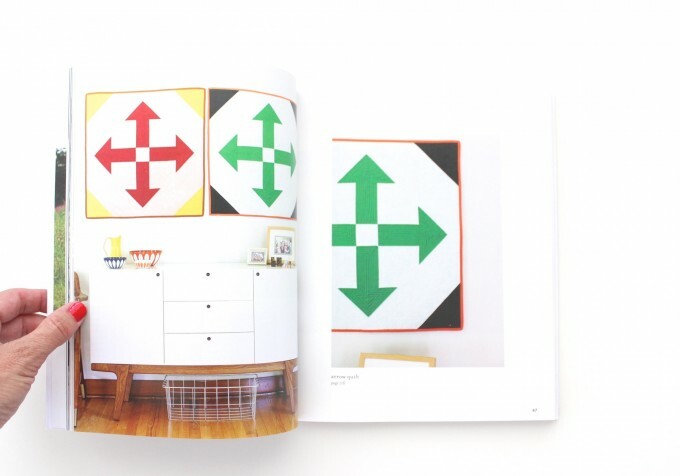 I love Anna’s aesthetic — this book is on my wish list! Fantastic looking book! I’m submitting my name! Beautiful, beautiful book! Thanks for the chance to win!! 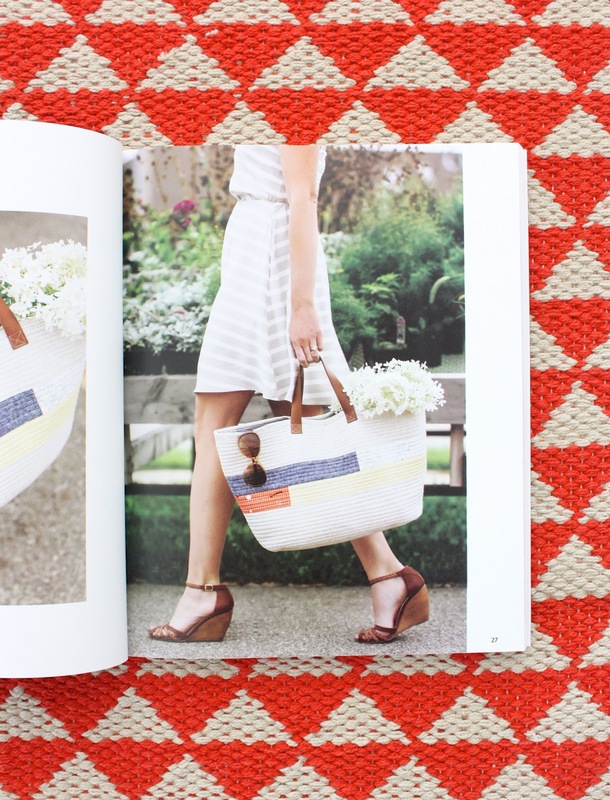 That book looks beautiful–thank you for the sneak peek & the chance to win! Looks like a great book. I am new at sewing and need all the help I can get. 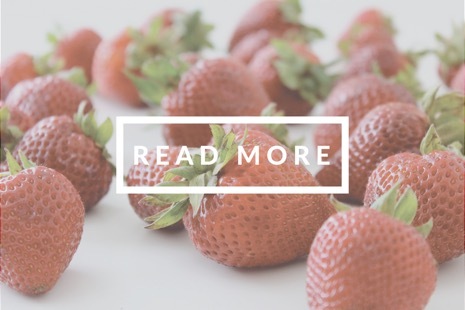 I love Anna’s blog. I have several of her bag patterns and have made a few. I agree, she is so beautiful and glad to see her in photos in her book. Thanks for a chance to win one of her books. Anna had me at her divided basket! Very talented lady. I already own several of her patterns and love them! I cant wait to give her new book a try!! Ive been waiting for a book or blog to come around that would awaken the sleeping sewer in my brain. This is so going to be that book!!! Cant wait!! Beautiful! What a fun book! I would love a copy of Anna’s book!! It is beautiful! Those tote bags are lovely! The color palette is perfection. I took a class with Anna and she is really wonderful. I love all of her patterns…especially her bag patterns! The book looks like it has a lot of FUN projects to make! Can’t wait to get my hands on a copy!! Looks like an awesome book. Great job to your friend! These projects look AMAZING!! What a beautiful book. Looks like a really good book!! Me, me, me, me!!! I would love to sew for myself more! Looks like a wonderful book! Love this book! Definitely on my to-buy list now. I would love to win and try these projects as I learn to sew! 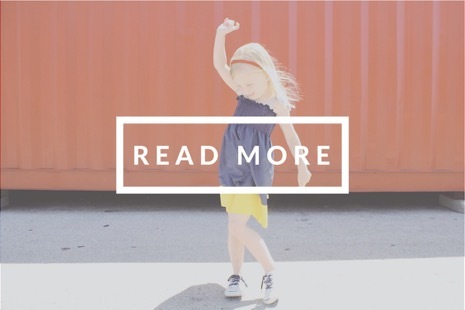 Love Anna and her blog! The book looks amazing…thanks for the chance! 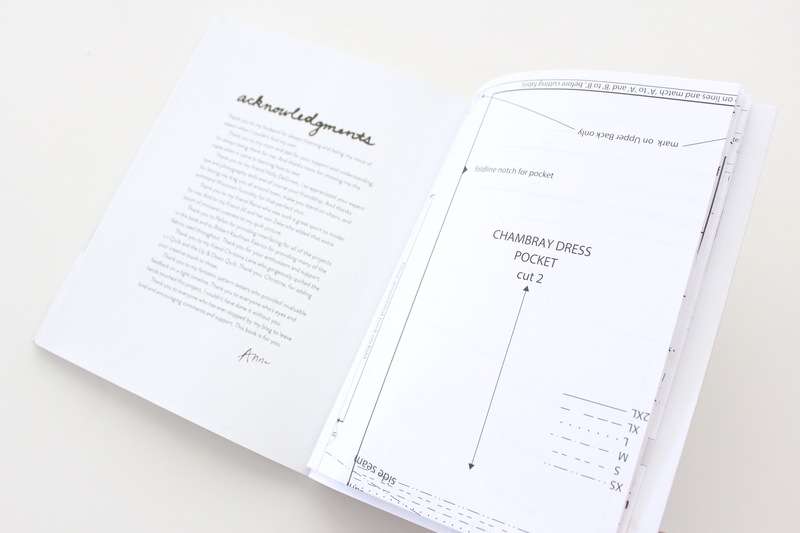 OMG, that dress pattern alone is worth the price of the book! What a wonderful easy simple book to teach my granddaughters with. Thank you for the chance to win!! I am so excited. I hope I will win this book. Thanks for the giveaway the book looks lovely!!! Oooh…a giveaway! 🙂 Love your site, Dana, and all the wonderful goodies you have for us on a regular basis! Thanks Dana for the chance to win! Love the book! Wow! So many cute things to make! Beautiful, would love a copy. Yay! One for Canadians!! 🙂 Looks great! This looks like a book I would love to use and also to give my daughter with 3 children of her own. What a fun book. Very exciting. I would be thrilled to win this book!! I love all the photos with all the beautiful colours!! I love looking at this book! would love to have my own copy! I just found your blog and Instagram and this book and its all amazing! I’m picky about book layouts and Handmade Style looks beautiful. Pick me pick me pick me!!!!! Love all the projects I have seen from this book. Fingers crossed and thanks for the chance! I was just reading Noodlehead yesterday and daydreaming about all of the lovely things I could make and give (and keep!) with this book. Everything is so beautiful! Winning a copy would be even better! 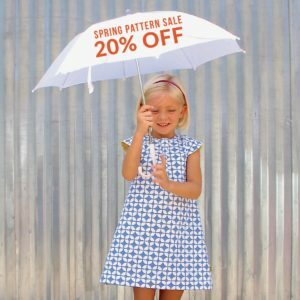 You had me at REAL SIZE patterns! Well, you really had me at the pretty wallet picture….of course would love to win, but adding this to my list of must-buy must-read must-do! I have to admit that at first I didn’t even realize this was a giveaway because I was loving the pictures so much! I would love to win this book! I don’t often comment on giveaways because I figure they’re such a longshot, but I REALLY want this book. Thanks for the opportunity! Anna’s book looks fantastic! I’d love to have it. Lovely book! Looking forward to flipping through and saving A BILLION NEW PROJECTS! yay! My mom has blessed her family and friends with wonderful hand made treasures throughout her life. She would love this book. Love to make things. This book would be great! I started following you and Anna about the same time and I love you both! The book looks fantastic! 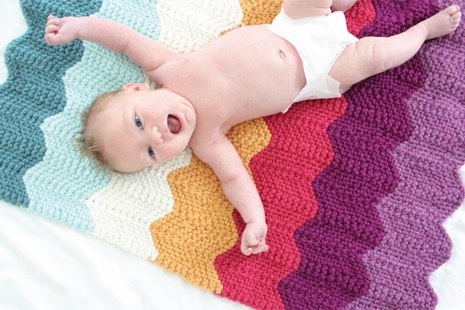 ohhhh, I love Anna and I love her stuff…have a few patterns and they are super great! I would love to win this book…it looks like so much fun! Thank you for the opportunity. It looks like such a great book. My fingers are crossed! New to your site and I am just inspired every time you post something new. The book looks amazing with wonderful new projects! Thank you for the opportunity. Thank you, Dana, for telling us about Anna’s incredible book it’s definitely going on my must-have list! This book looks amazing – so many great patterns! I love Noodlehead designs! Would love to win this book! Some lovely projects in this book! What a lovely book. Definitely a few projects I can’t wait to try. Love this book! I have been hogging the library copy; would love to have my own! Looks like an awesome book!!! Would love to have it. Sewing is back and in a big way!! I love Noodlehead, and would love to have this new book!! Sewing bags is my favorite!! Such a gorgeous book too. Thanks for the chance to win, I’d love to own Anna’s book! Beautiful stuff! I would love to work on some new projects! I LOVE her stuff, she makes it all look so simple. Thanks for the giveaway! Wow! Looks like an awesome book! It looks beautiful! What a fun book! Noodlehead is the first blog I started reading years ago. Love it! I love pretty much anything Anna comes up with. I am sure her book is great! I am looking forward to looking through the book. The projects in the peak you gave us look fabulous! Ohhh looks like a great addition to my collection! I hope I win a copy! 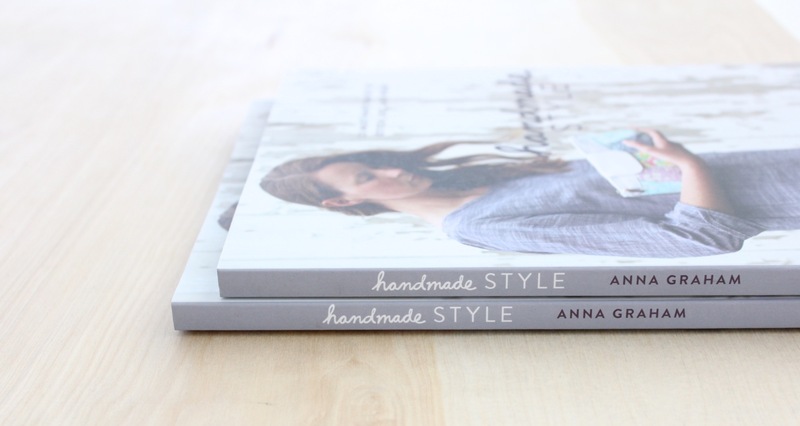 Everyone of Anna’s patterns I’ve tried has wowed me – I can’t wait to get my hands on this book! Zippy things!! These are my favorites to make and design! Always in the market for a good pattern!!! I love Anna’s patterns! Would love to win this! Thanks for the giveaway! DYING to get my hands on this book! It’s stunning. Anna is amazing- you and she were the first sewing bloggers I followed way back in the day. It’s been so neat to see you two grow!! I would love, love to own this book! Thank you! I love giving and getting handmade gifts! I already see a few projects that would be perfect for Christmas! beautiful! looks like a great book! What a beautiful book! Thanks for sharing! This looks beautiful. I would love to win. That book looks so good! I’ve just reserved this at the library, but I do so want a copy of my own!! Just what I need…because my list of projects isn’t already longer than the Great Wall of China. Can’t wait to get my hands on this! Oh, I would love to win this book. Thank you for making the entry so simple, I steer away from having to do many tasks to enter a giveaway. Looks like a great book! I’d love to win! I wouldn’t let anyone use that beautiful triangle quilt – it’d be art! Kids: keep your sticky fingers to yourself! HaHa! Just getting back into sewing after a long long long time. Would love the book to help me and “hold my hand” while I learn again! Love you site very informative. I’m in! The book looks beautiful! Anna is a great designer. I have some of her patterns and would love a chance to win this book. Thank you for the chance. I enjoy reading the Noodlehead blog. So much inspiration! Though honestly, the only pattern that I’ve purchased from any blogger has been your very own doll basket! And it’s been a great purchase! Thank you both for the opportunity. Coming in late with an entry. Too awesome a giveaway not to enter! Oooh … I love Anna’s aesthetic! Thanks for sharing her book with the rest of us! I love this book. Everything about it is so beautiful! they all look like great, do-able projects! thanks for the giveaway! That looks like a great book full of fun projects! Oh, pick me, please! Really want this book. This looks like a great book and I’m excited that Canadians can enter! I love sewing books with great pictures! And that quilt?! To die for! I have the ruler; I must make it! 😀 Yes, please! She makes me want to dip into quilting….and thats a hard one for me to say!! I cant wait to be able to flip through these pages and let some creating begin…..I’m kinda in a sewing “funk” at the moment. Whether i win this fabulous book, or hunt it down locally, I’m starting to feel that spark ignite seeing this new gem! Anna this book looks EPIC! Thank you! This is one I will be getting, whether I win or not. Thank you for the chance to win it. Beautiful book and beautiful pictures! I would love a chance to win this, as I never sew for myself! Thanks for a great give-away! Would so love to win this! This book looks so fabulous. I would love to win this gorgeous book! A new sewing book would be wonderful. Haven’t splurged on one in a long time. Looks like a fantastic book! Thanks for the chance. I’ve been a fan of Anna’s since the gathered pouch you featured all those years ago during a celebrate mom series. I’ve had a copy of the book on my wishlist…but winning one would be fun! I love everything Anna does, and would love to win a copy of her book! So sad I missed this contest. What a fantastic-looking book. I’m looking forward to getting my hands on a copy. Thanks for sharing the details. So sad I missed the contest as well. Oh well. I AM wondering if Anna’s divided basket is one of the patterns in the book. Would LOVE that! Oh, and I’m pretty sure you would NOT want to live in the “stripey white barn thing”. I’m pretty sure (having grown up in rural WI myself) that it’s a corn crib. And there are probably “critters” amongst the cobs of corn. I love Noodlehead! I bet the book is brilliant! WOW! Beautiful book…would love to win this; all the projects look like fun! 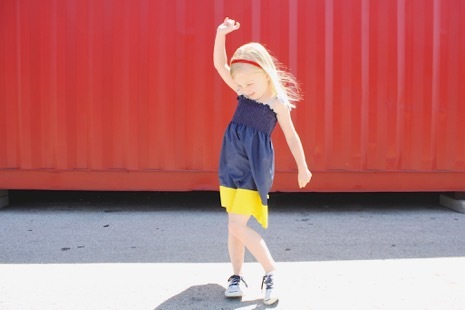 Looks lovely and perfect timing with the kids going back to school- I might have time to sew more! How wonderful of you to do this giveaway!